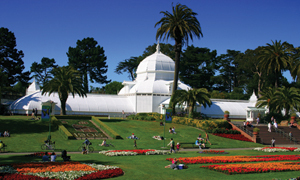 Gifts that have come to San Francisco Parks Alliance (SFPA) through bequests and estate planning have made tremendous impact on San Francisco’s parks. For example, SFPA Park Action Grants are made possible in part by a generous bequest from the estate of Dolorous Knight, a long-time San Franicsco Park lover. We would be glad to answer questions you may have planning a gift to San Francisco Parks Alliance whether it be how to start writing or revising your will or estate plan or establishing a gift that pays you. For Planned Giving and Legacy Circle information, contact Sonia Gonzalez Banks at soniab@sfparksalliance.org.